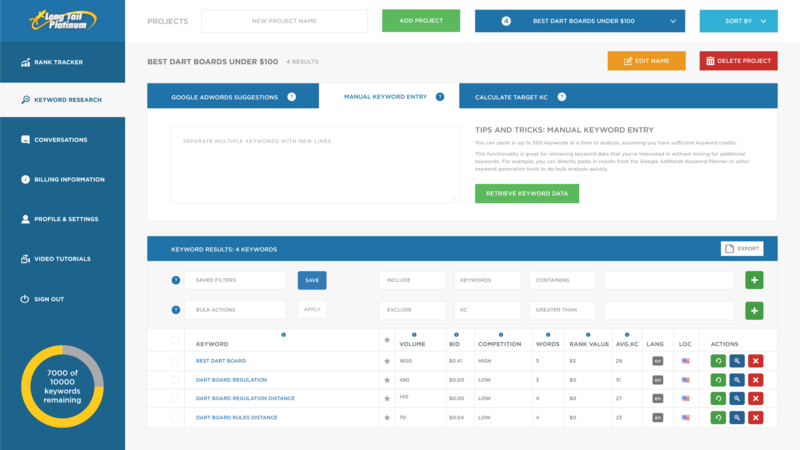 This is a complete redesign of the user interface for the keyword research tool Long Tail Pro. I created this conceptual redesign in order to give Long Tail Pro’s interface a more modern look and feel as well as make things a bit more functional and organized. I’m personally happy with the way it came out and think the software would be easier to use this way.